The SI-CAT is a heating technology that rapidly and efficiently heats the ceramic in catalytic converters. 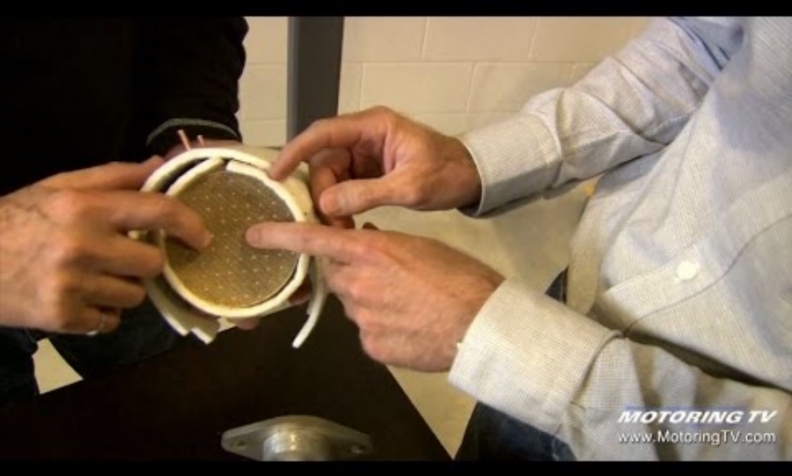 A Canadian tech company that says it's created a better, cleaner catalytic convertor has received $400,000 from the federal government to help bring the product to market. Toronto’s Advanced Technology Emission Solutions says its Smart Induction Catalyst (SI-CAT) can be readily scaled by Tier 1 suppliers. “This investment is helping Advanced Technology Emission Solutions Inc. to scale-up, while demonstrating how innovation can be used to make life better for our citizens, now and in the future,” Navdeep Bains, Canada’s minister of innovation, science and economic development said in a statement. The SI-CAT is a heating technology that rapidly and efficiently heats the ceramic in catalytic converters. That ensures optimal performance of the catalyst during real-world driving conditions, particularly during cold starts in Canada, because heat is what activates the chemical reaction inside catalytic converters. As exhaust passes through catalytic converters, a chemical reaction between the gasses and precious metals lining the ceramic converts the bad emissions into less harmful ones. But that process is slower and less efficient when its could out or when the car cools while idling in congested urban environments where traffic moves slowly or not at all. The SI-CAT technology heats the catalytic converter to working temperatures within seconds. ATES’s own test results show reductions in overall emissions of 40 per cent during automotive-standard testing. The design works with all internal combustion engines. “As an early stage innovation company focused on commercializing a next generation emissions technology, ATES could not have achieved the momentum we are experiencing without the support of the Government of Canada,” ATES CEO Anthony Hardenne said in a statement. The funding is coming from the Federal Economic Development Agency for Southern Ontario, otherwise known as FedDev Ontario. It’s expected to create 11 jobs.